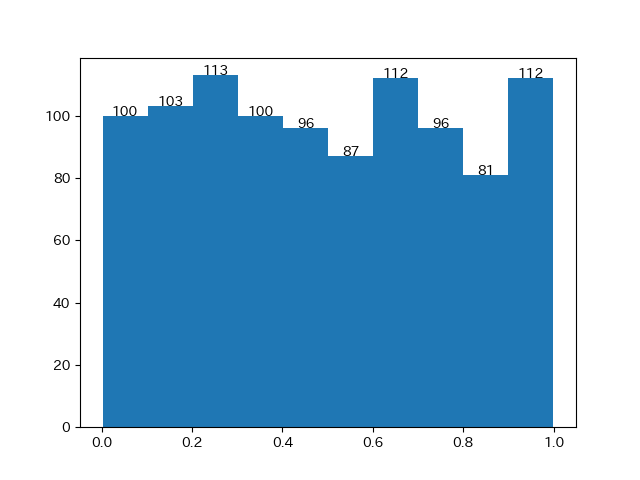 The values of the histogram bins. See normed or density and weights for a description of the possible semantics. If input x is an array, then this is an array of length nbins. If input is a sequence of arrays [data1, data2,..], then this is a list of arrays with the values of the histograms for each of the arrays in the same order. The edges of the bins. Length nbins + 1 (nbins left edges and right edge of last bin). Always a single array even when multiple data sets are passed in. Silent list of individual patches used to create the histogram or list of such list if multiple input datasets. Select the dataset to load: ‘train’ for the training set, ‘test’ for the test set, ‘all’ for both, with shuffled ordering. May contain any subset of (‘headers’, ‘footers’, ‘quotes’). Each of these are kinds of text that will be detected and removed from the newsgroup posts, preventing classifiers from overfitting on metadata. ‘headers’ removes newsgroup headers, ‘footers’ removes blocks at the ends of posts that look like signatures, and ‘quotes’ removes lines that appear to be quoting another post. Specify an download and cache folder for the datasets. If None, all scikit-learn data is stored in ‘~/scikit_learn_data’ subfolders. If False, raise an IOError if the data is not locally available instead of trying to download the data from the source site. If True, returns (data.data, data.target) instead of a Bunch object.